Get Perfect Vision With Arcata LASIK Surgery! At A to Z Eye Care, our first priority is the health of our patients’ eyes. Dr. Appy, Dr. Johnson, and our professional team provide comprehensive eye care utilizing the latest technology to achieve the best results and excellent vision for our patients in Arcata, Eureka and the surrounding Humboldt area. We are proud to be providers of one of the most significant breakthroughs in vision correction: laser eye surgery, or LASIK. 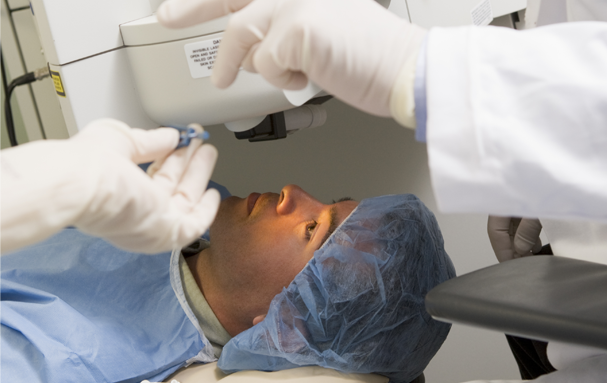 This procedure offers a permanent alternative to glasses or contacts, restoring 20/20 vision for most patients. Performed by an ophthalmologist, countless patients have had great success with LASIK surgery, and love enjoying the benefits of their perfect sight! For individuals interested in LASIK, we offer co-management services to make the procedure as convenient and efficient as possible. Schedule Your Eureka LASIK Consultation Today! Here at A to Z Eye Care, we have helped countless patients throughout Arcata, Eureka and the rest of Humboldt County achieve amazing vision. If you’re interested in having 20/20 vision without the help of glasses or contacts, we encourage you to schedule a consultation to see if LASIK is the right solution for you. Our co-management services make the process stress-free and easy. If you have any questions related to LASIK or any of the services we provide, we welcome you to contact our office today and speak with our LASIK coordinators to get more information! We can’t wait to hear from you and help you achieve your best vision!